Inflammation causes many of the problems associated with bad hair and bad skin . Most of this inflammation is subclinical - the kind that can be seen only with a microscope. In this article I'm going to make many suggestions about what foods and supplements reduce the possibility of cellular, tissue, and even systemic inflammation. I'm also going to suggest what foods and eating patterns increase the possibility for this inflammation to occur. What mainly determines if our diet is either pro-inflammatory or anti-inflammatory are wild swings in blood sugar. These rapid rises in blood sugar trigger an insulin response in the body. This insulin response is to a large extent what causes an inflammatory response. Most of the foods we eat are converted into sugar (glucose) but different foods are converted into sugar at different rates. Foods that are converted into sugar fast can be considered as pro-inflammatory. These foods, which I'll discuss in detail, often cause all kinds of trouble if they make up a large part of one's regular diet. Cardiovascular disease remains one of the biggest health threats to Americans. For years, LDL ("bad") cholesterol levels were the measuring stick for cardiovascular risk, but recent studies have indicated that elevated C-reactive protein (CRP) levels - which measure inflammation - may be a better indicator of one's risk for heart attack and stroke. What can you do to lower your CRP? It sounds familiar: If you reduce your intake of saturated fats, exercise regularly, eat an anti-inflammatory diet including plenty of fruits and vegetables, stop smoking, and lose excess weight, your CRP levels will decrease naturally, along with your risk of heart disease and numerous other illnesses. My opinion is that Dr. Weil's recommendations will have a positive effect on skin and hair health along with keeping your heart and blood vessels healthy. The foods that are converted into sugar fast are all high on the glycemic index. This index is an arbitrary scale that rates foods from 0 to 100. Water is rated 0; table sugar is rated 100. As a rule, foods rated quite a bit above 50 should be avoided because they are pro-inflammatory. These foods include white potatoes, white bread, white rice, processed cereals, pasta, dried fruit, fruit juices, honey, and of course soda drinks, cakes, cookies, and pies. All these foods cause a rapid rise in blood sugar. This in turn triggers a release of insulin. The result is inflammation taking place in all the cells of the body. But in addition to being concerned about the glycemic index, you have to think about the glycemic load too. The glycemic load is determined by how much food is eaten at a given time. If too much food, even food low on the glycemic index, is eaten at one time, there will be a rapid rise in blood sugar. Many nutritionists recommend small meals even if you have to eat more than three times a day. Small meals stabilize blood sugar and therefore keep inflammation in check; super-large meals have the opposite effect. Even though most fatty foods rate low on the glycemic index, certain "bad" fats are known to create a pro-inflammatory state. This is because different types of fats produce different types of prostaglandins. Prostaglandins are extremely active biological substances produced in the body by using unsaturated fatty acids. The bad fats play a role in the synthesis of the pro-inflammatory prostaglandins. These fats include polyunsaturated oils, partially hydrogenated fats, and trans-fatty acids (fats in deep-fried foods). It's hard to avoid these fats if you eat a lot of processed foods. I avoid corn oil, safflower oil, soybean oil, margarine, lard, and the like. I use mostly extra-virgin olive oil that is rich in omega-9. This fatty acid works in concert with omega-3, producing benefits to the body. The omega-3 fatty acids, which are found in cold-water fish like sardines, salmon, and tuna, are important in the production of the anti-inflammatory prostaglandins. Fish oils and cod liver oil are also high in this nutrient if you are concerned about the possibility of methyl mercury in fish, or just don't like the taste of fish. Other good sources of omega-3 are walnuts, sunflower seeds, and almonds. Before I get into the intriguing material about some great anti-inflammatory foods, I'd like to encourage everyone to drink a lot of pure water. Six to ten glasses each day exert a strong anti-inflammatory effect because the water gets rid of toxins that might otherwise build up in the body. I drink spring water that I get at a grocery store near me. The water out of the tap is not a choice I would make because there are too many unhealthful chemicals in it. If you drink sufficient pure water each day, you'll notice that your skin will start to look a lot better - even acne might start to disappear. This is an indication of the anti-inflammatory process at work. If you have been looking at my Discussion Forum regularly, you would have seen many positive messages about all the foods that are listed below. There is certainly no one food that magically makes the skin look young or stabilizes hair loss, but a diet rich in all or most of these foods might create the healthy anti-inflammatory state conducive to healthy skin and hair. I'm going to list these foods under the major phytochemical groups of which they are a part. Omega-3 fatty acids - Most sea foods like the ones I mentioned above along with fish oils are rich in this essential fatty acid. The vegetarian sources include flaxseed powder, walnuts, and sesame oil. All raw nuts also contain at least some omega-3 also. But my recommendation is to stay away from flaxseed products. New research has indicated that flax seed products consumed regularly will lower HDL, the good cholesterol. Quercetin - This is an anti-inflammatory phytochemical of the flavonoid family. It is found in red grapes, onions, broccoli, garlic, and apples. Green apples, especially the skins, are known to promote the growth of healthy hair according to a large Japanese study. Resveratrol - This is another phytochemical, very much in the news lately because of its benefit to the heart and blood vessels. It is found in red wine and red grapes. Supplement dealers are now selling "extract" of resveratrol, but why not go for the real thing - red wine in moderation and red grapes. There is that lure of taking a magic pill though. Polyphenols - These are other anti-inflammatory phytochemicals found in highly colored berries like blueberries and blackberries. They are also rich in anthocyanins, a type of flavonoid that is protective of hair follicles. Cranberry juice if it's 100% is also full of these phytochemicals, but stay away from the cranberry "drinks" and other fruit drinks too. These are usually nothing but sugar, water, synthetic flavor, and some coloring - very high on the glycemic index. Antioxidants - These protect the body from free-radical damage, the chain-reaction that erodes cell membranes (cell walls) throughout the body. Some of the foods I eat for their antioxidant effects are green and red peppers, loaded with vitamin C; canned tomatoes, rich in lycopene (protects against prostate problems too); and all kinds of dark leafy greens like spinach. If you make salads from these greens, stay away from most of the salad dressings you'll find at the stores. Almost 95% of them are loaded with high fructose corn syrup. (Paul Newman's salad dressings are the only ones I found without HFCS.) This chemical is a disaster making people fat around the middle. Oleic acid - This contains the omega-9 fatty acid that helps the omega-3 function more efficiently. I use extra-virgin olive oil, high in omega-9, for everything, even putting a few drops on whole wheat toast. This is the best pro-inflammatory oil. Use it instead of the polyunsaturated oils like safflower, corn, and soybean. Alpha-lipoic acid - This antioxidant is found in most meats and vegetables and is easily absorbed, but some researchers like Dr. Lester Packer of UC Berkeley suggest taking an alpha-lipoic acid supplement. Juvenon, which also contains acetyl-L carnitine, is an excellent although expensive alpha-lipoic acid supplement, according to Dr. Andrew Weil. Yogurt – Get the plain yogurt with the National Yogurt Association (NYA) seal on it. This means that this yogurt has “live and active cultures.” Avoid the yogurts whose labels say “made with Active Cultures.” These yogurts are probably heat-treated after fermentation. If this is the case, all the good bacteria are dead. Get Gary B. Huffnagle’s The Probiotics Revolution at the library to find out why this real food is good for the skin, hair, and general health. New research indicates that you shouldn't eat milk and milk products like yogurt at the same time that you eat fruits and vegetables. The proteins (caseins) in milk have an affinity for the polyphenols in fruits, vegetables, tea, and coffee and reduce their bioavailability. All the foods mentioned in the anti-inflammatory list are low on the glycemic index. They will not cause a pro-inflammatory spike in your blood sugar. And all these foods are loaded with vitamins, minerals, amino acids, and phytonutrients that work synergistically to produce optimum health. When you walk down the aisle of a health food store, you'll see all kinds of products (pills, softgels, tablets, and so forth) that provide all the nutrients that I described in this article. My preference, though, is to get these nutrients from real foods if you can for three reasons: (1) nutrients from real foods are usually assimilated faster than they are from supplements, (2) in real foods there are always many nutrients and phytochemicals working synergistically together, and (3) in real foods there are probably unidentified nutritional factors that haven't been discovered or synthesized yet. Turmeric - I'm using the capsules now. 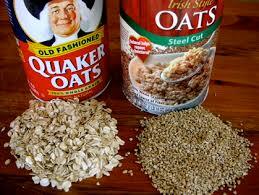 Oatmeal with some toasted wheat germ mixed in. I put some walnuts and blueberries on top of this along with whole milk. It tastes delicious. I always like good-tasting foods. Steel cut oats might be better. Even if I know that something is good for me, I won't eat it if it tastes bad. The only exception I make here is cod liver oil (the mint flavor tastes OK). It doesn't taste too horrible though. Read my article on Intermittent Fasting. At Ohio State University near where I live some clinical trials are being conducted with "fruitraceuticals." One of the fruits being tested for chemopreventive properties is blackberries. The part of the experiment at Ohio State that interests me is how eating blackberries every day may eliminate actinic keratoses from the skin. Actinic keratoses are precancerous lesions in the skin caused by too much cumulative exposure to the sun. I have a few small keratoses on my face that I was going to have a dermatologist remove. But a year ago after reading about the research at Ohio State, I tried the "blackberry cure" and ate these tasty berries every day - at least a cupful. My actinic keratoses have almost disappeared. If anyone is interested in these experiments at Ohio State, here is a good article: Blackberries. Garlic, Onions, and Egg Yolks - These are rich sources of the mineral sulfur. This nonmetallic mineral is necessary for the synthesis of both collagen and elastin. These macromolecules keep the skin firm, elastic, and young-looking. Collagen and elastin are components of the skin matrix. They are produced by connective tissue cells in the skin called fibroblasts. Sulfur, known as the “beauty mineral,” and vitamin C work together to boost collagen and elastin production. 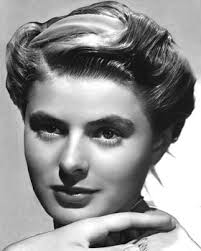 Plenty of sulfur in this talented Swedish woman's diet! Insulin and cortisol are both inflammatory hormones if they are at elevated levels in the body. Insulin becomes elevated if there are too many foods high on the glycemic index in our diets. Cortisol becomes elevated if there is too much prolonged stress in our lives. Some researchers claim high quantities of caffeine can also increase our cortisol level. Cortisol is secreted by the adrenal glands in response to psychological stress. Some scientists and nutrition gurus have suggested that this hormone stimulates the deposition of fat in the abdomen (intra-abdominal fat). But this accumulation of fat occurs only when there is a great excess of cortisol produced because of drugs or hormonal disorders. Supplements that claim to inhibit cortisol production and therefore help in the battle to lose weight are probably just scams. Companies often develop supplements based on the public's superficial interpretation of the latest scientific findings. These supplements are rarely effective - except for bringing revenue to the companies. 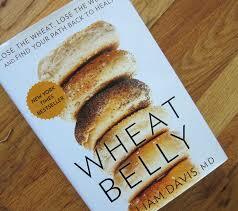 Wheat Belly, a book by William Davis, MD, has over 2500 customer reviews on Amazon - most are five-star reviews. "A renowned cardiologist explains how eliminating wheat from our diets can prevent fat storage, shrink unsightly bulges, and reverse myriad health problems." It's convincing but my suggestion is to read the book and decide for yourself.